Add a stunning retro twist to your interiors with these designer silver triple toggle light switches. Wherever you place these beauties, they’ll elevate your room’s decor to new heights. 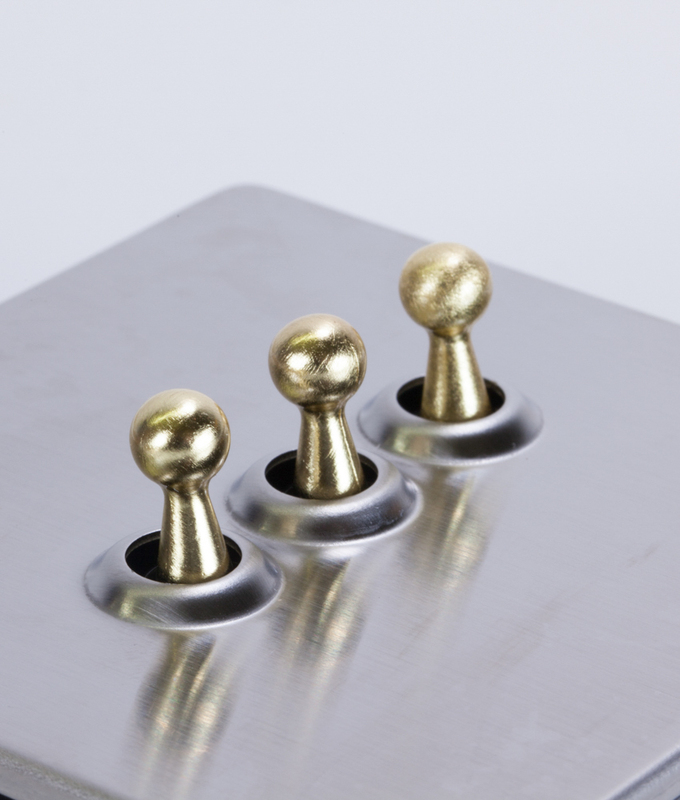 With a choice of black, gold, white or silver toggles, these are the perfect finishing touch. You just need them in your life. Our designer silver triple toggle light switches is perfect for every perfectionist… Its fittings are totally concealed for a sleek finish, and it’s LED compatible. Toggles were just made to be flicked on and off – and once you’ve had them we’re pretty sure you’ll never go back. This toggle is part of our silver switches and dimmers range. A collection of matching designer switches and dimmers to style up every light in your home. We’ve got 1 gang, 2 gang and even 3 gang dimmers and toggle switches so you can control all of your ceiling and wall lights from one convenient, and very good looking, switch. 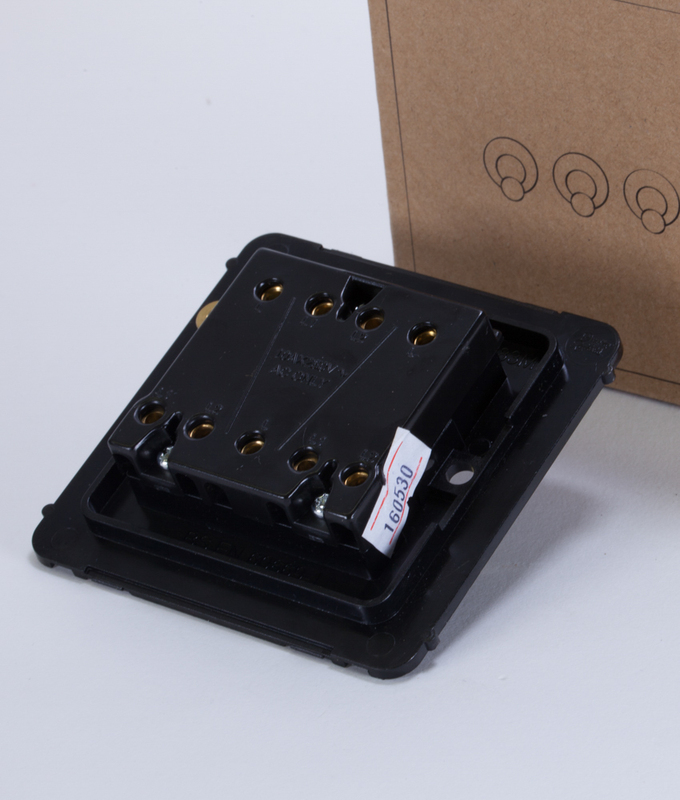 Check out our handy guide light switches explained to find out the difference between 1, 2 & 3 gang plus when to use 1 way, 2 way and intermediate switches.